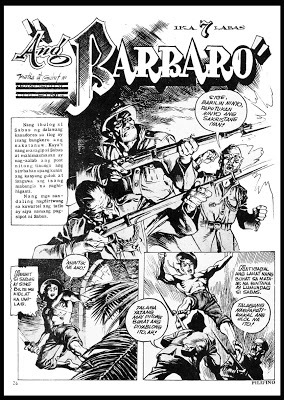 Barbaro is an adventure comics novel about Sabas, a man who was driven by cruelty and oppression to become the sworn enemy of the colonial government. 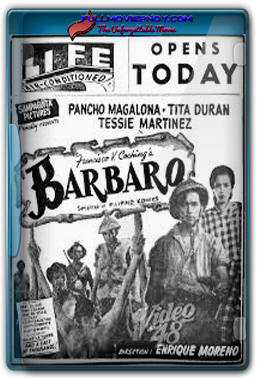 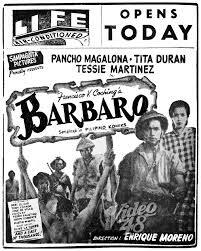 Sabas, Ang barbaro is a 1952 Filipino Action, Adventure film under Sampaguita Pictures. 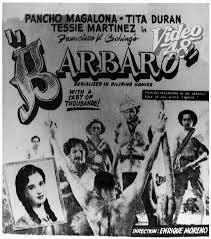 It stars Tita Duran, Pancho Magalona, Tessie Martinez, and it is directed by Eddie Romero.